SCOUT 3 is the most advanced system in head tracking technology. It's the latest iteration of SCOUT™, the same technology that is in full rate production, providing the highly acclaimed HMCS (Helmet Mounted Cueing System) accuracy in U.S. Military F-16, A-10, and C-130 Aircraft. This 6 Degree-Of-Freedom head tracker is extremely reliable, with designed-in robustness and all of the benefits of the very latest in Polhemus proprietary AC electromagnetic technology. Our solid-state technology does not need to use a hybrid approach to tracking. No cameras to worry about, no lenses to scratch, and no visual obstructions to cover your canopy transparency. How is this possible? It's the power of AC electromagnetic technology, which doesn't require line-of-sight between the tracking subcomponents to operate correctly. Currently fielded on active A-10, F-16 and C-130 combat aircraft, our very best precision helmet tracker, SCOUT™, offers the highly acclaimed accuracy and performance noted by the U.S. Government. SCOUT incorporates such features as embedded boresight retainment, simplified or eliminated calibration and advance breakaway/quick disconnect management. The self-contained electronics and sensor are extremely light-weight and requires NO interconnect system electronics unit. SCOUT vastly simplifies system and aircraft integration. For a complete description and product specifications, download the SCOUT brochure. Polhemus is constantly innovating to continually deliver the most advanced head tracking technology available. If you want to receive the latest information on our head tracking products, sign up here and be among the first to know. For a PDF of the Accessories Brochure, click here. 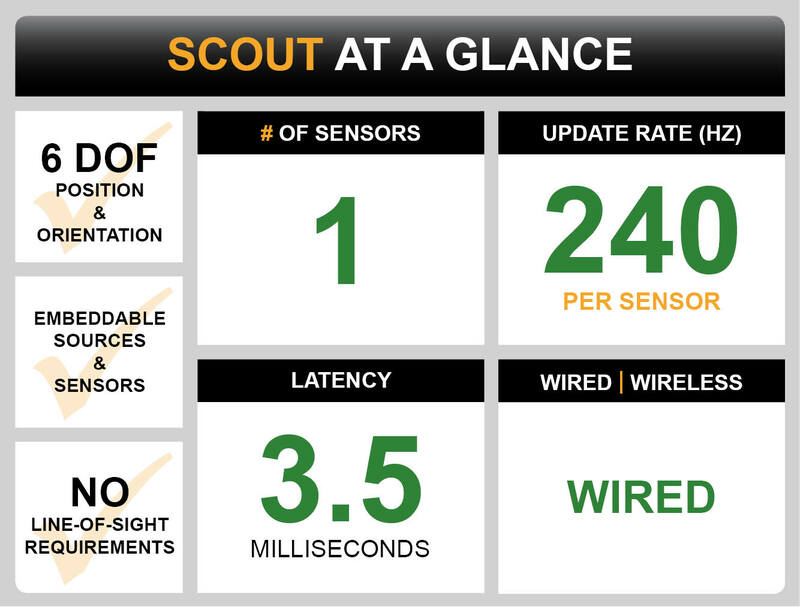 Is SCOUT the right tracker for you?